Backup iPad Air/iPad mini to Computer Easily – iMobie Inc. It is a pity that we lose some important data we have stored on our iPad Air/iPad mini for various reasons, thus we had better create backups on our computer in case of data loss. How to backup iPad Air/mini to computer? In this iMobie guide, we will show you how to make it. Free download AnyTrans on your computer to back up our iPad Air/iPad mini data. Read on this tutorial to know how to back up. There is a wonderful slogan on the website of Apple about iPad Air 2, that is " So capable, you won't want to put it down. So thin and light, you won't have to". It is indeed as the description above that people love to own an iPad to have a better experience in their daily life, they can use it to record videos at the memorial moments, take photos for happy smiles, search for information in a hurry, receive important email or do other things. There is no doubt that we have stored a lot of important data on our iPad Air/mini, such as, photos, emails, messages, music, videos, apps and much more. With so much important information on iPad Air/iPad mini, we need to create backup on our computer in case that we may lose them by chance. So the question is how to back up iPad Air/iPad mini to computer? In order to help you to back up your iPad Air/iPad mini to computer successfully, we will introduce you two available methods in this tutorial. Open iTunes and connect your iPad Air/mini to your computer. 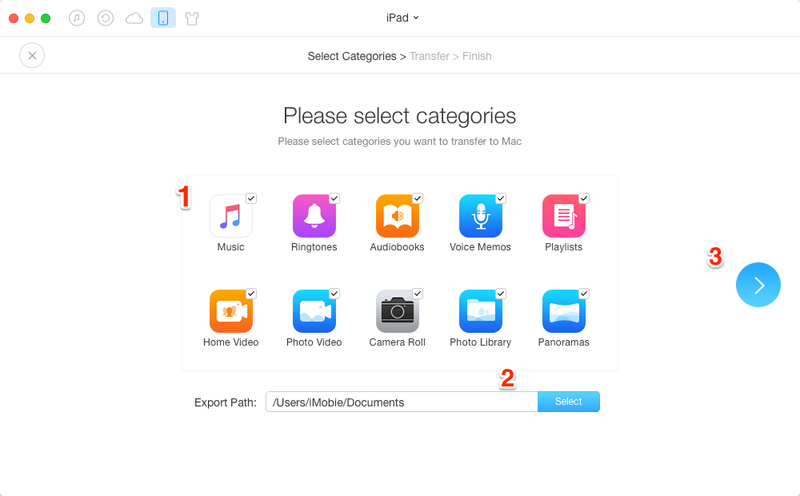 Save the content downloaded from iTunes store or App store by clicking File > Devices > Transfer Purchases from "iPad Air". Tap on File > Devices > Back up. 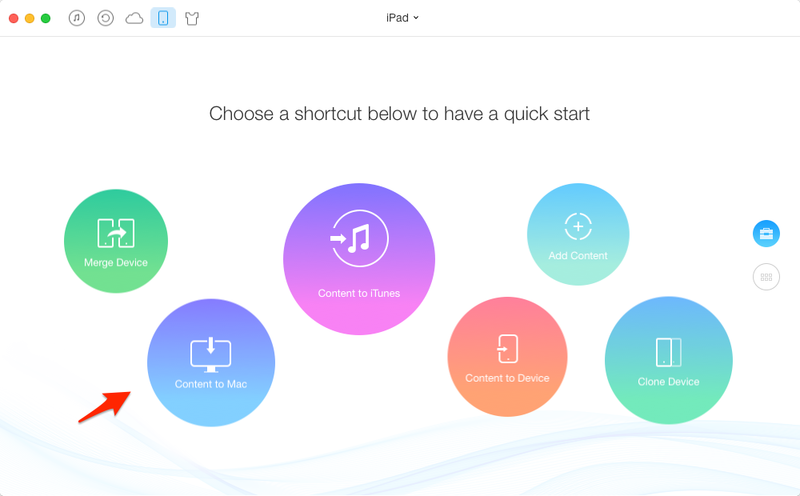 Click on iTunes Preferences > Devices, and check your iPad Air backup. Note: iTunes doesn't allow you to selectively back up data you want on iPad Air/iPad mini, and you can't back up your iPad's apps or music. If you want to get a complete back up or selectively back up some data, you could choose the wonderful software named AnyTrans to give you a hand. So let's move to the Part 2 and learn how to selectively back up iPad data to computer with AnyTrans. Before starting this tutorial, let's do a brief introduction about AnyTrans. AnyTrans could be regarded as an alternative of iTunes to transfer and manage the iOS data on your devices. 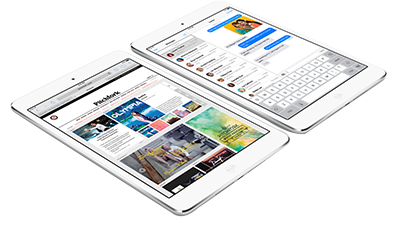 It is good at helping you backup your iPad Air/iPad mini valued information, including music, photos, apps, videos, contacts, messages, notes, movies, calendar and more. It is compatible with iPad Air/Air 2 and iPad mini 2/mini 3. It offers users a wonderful experience with its friendly and intuitive interface. 1. Free download and install AnyTrans on your computer, run it, and connect your iPad Air/mini to computer via a USB cable. 2. Tap Content to Mac on the homepage. 3. Pick up the files you want to back up to computer, and then click on "Start Transfer" to begin backing up. Note: You can also tap a specific file on the homepage to enter its manage page, and then preview and choose the content you want to back up to computer by clicking on "To Computer" button at the top right pane. AnyTrans is aimed to make you have a more organized life style with your Apple devices by keeping everything in order and at the right place. If you still have any question on mind, please contact our support team by Email (support@imobie.com). Please share it with your friends if this guide is helpful. Have a try on AnyTrans now.